Edward I became King of England in 1272. He had gone off to the Crusades, returned in 1274, and was apparently confronted with "the problem of Wales." The British, over the years, have had their "problems." In Ireland, they are called “troubles,” and date back to the first English involvement in 1170, when Turlogh O'Connor overthrew Dermot MacMurrough King of Leinster, and MacMurrough asked King Henry II of England for help. MacMurrough rewarded the English soldiers who helped him to regain his kingdom with land. Back to Wales, where Edward invaded the country in 1277 (it is a separate country, the same as Scotland and Northern Ireland). Edward forced the Welsh leader Llywelyn to pay homage. The Welsh were relatively peaceful for a few years, but rose up in 1282, causing Edward to come back, and crush the revolt. In the process, Llywelyn was killed. Following the English conquest of Wales in 1282, a number of fortifications were constructed, particularly along borders. Among them, the most significant was here in Caernarvon, in the northwest corner of Wales, built in two stages, 1283-92 and 1294-1330. It is typical of castles built on the edge of rivers or a sea. About three fourths of the site is bounded by water, making only a small portion vulnerable to attack. Edward apparently also wanted to secure a sea route to the west coast of England, and the castle was strategically placed to achieve this. Being on the water's edge also allowed supplies to enter, secure from Welsh threats. There is evidence that a Norman moat and bailey were on the site, and incorporated into the design. They had been the scenes of Welsh resistance earlier. There is some discussion coming out of Welsh sources that indicate Edward felt a link between Caernarvon and Imperial Rome, since there was a Roman fort, Segontium, nearby. Further, it is suggested that he tried to emulate the architecture of Constantinople (perhaps he had seen the city in his Crusade) by angling the towers of Caernarvon, as opposed to the standard round ones. The nearby castle of Conway has the usual round forms. Edward also seems to have had the walls of the castle assembled with various colored stones to simulate the golden tones of walls in Constantinople. Edward was drawing upon symbolism, and expressing it in architecture. He also wanted to defuse anti-English sentiment and establish a nucleus of English influence. This led to the establishment of a town immediately adjacent to the castle, with protective walls around it (it can be assumed in anticipation of an inability to defuse the anti-English sentiment). Edward's intention was to create a capital of a new dominion. Caernarvon did become the English administrative center in Wales. 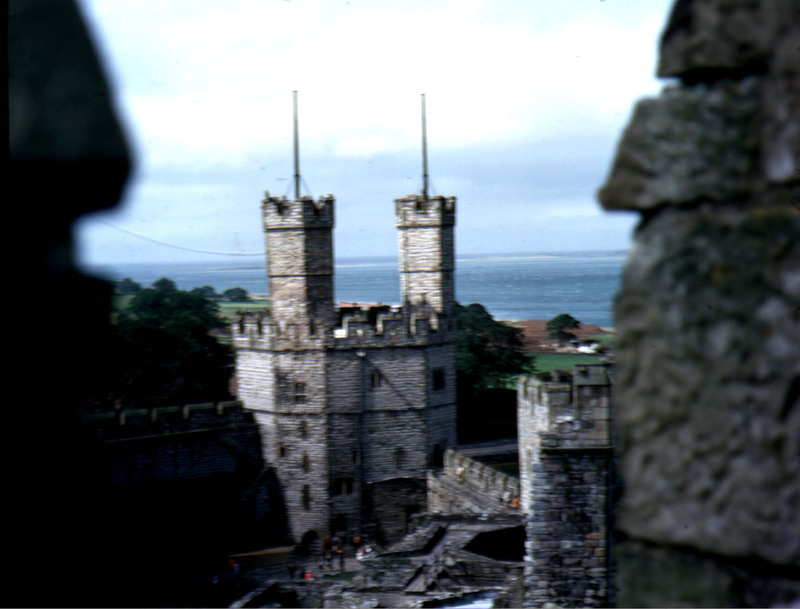 What makes it historically significant is the fact that Edward II was born in this castle, and it followed that the successor to the British throne was given the title "Prince (or Duke) of Wales," and his investiture has been held ever since in Caernarvon Castle. 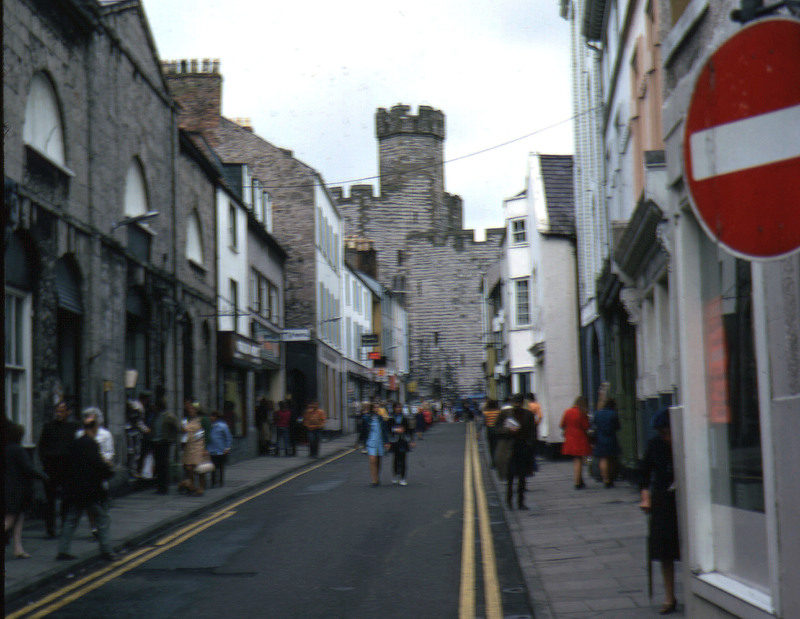 Charles, son of Elizabeth II, was so titled in Caernarvon in 1969. Architecturally, this time was known as the Early English Period, subtitled the "Lancet" period. The classification “lancet” was based on the tall, narrow windows used in designs, which were shaped like lances. Projecting buttresses, pinnacles, and steeply pitched roofs marked building exteriors. 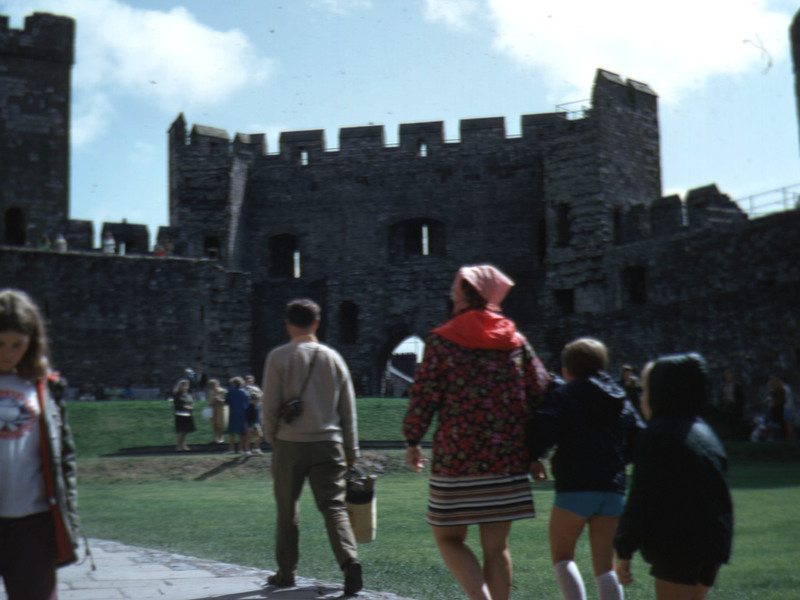 There were great developments in castle building during Medieval times. The design of the keep was developed until it was a marvel of ingenuity. 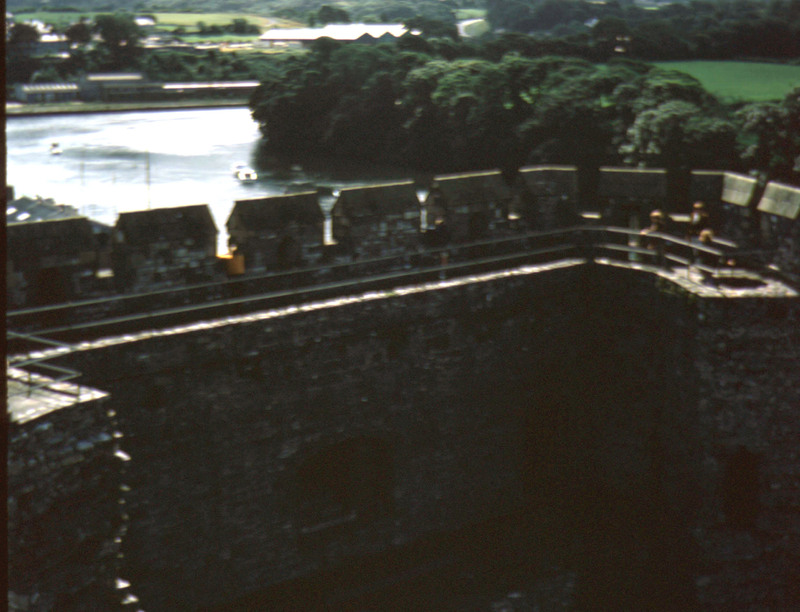 Caernarvon's walls are topped with crenellations above two galleries built into the thickness of the walls. When the walls were manned, the archers could discharge a perfect broadside of arrows. On the north side of the castle, the arrow slits are ingeniously arranged, so that three archers could shoot out of a single opening. The angled walls mentioned above allowed archers to shoot along the faces of the adjoining walls, if besiegers attempted to raise scaling ladders. Each tower formed a place of refuge to which the defenders could retreat, even if their opponents breached the walls and gained an entry into the bailey. The castle did not rely upon a single entrance; it has five. This allowed for escape from numerous exits in case of a siege. 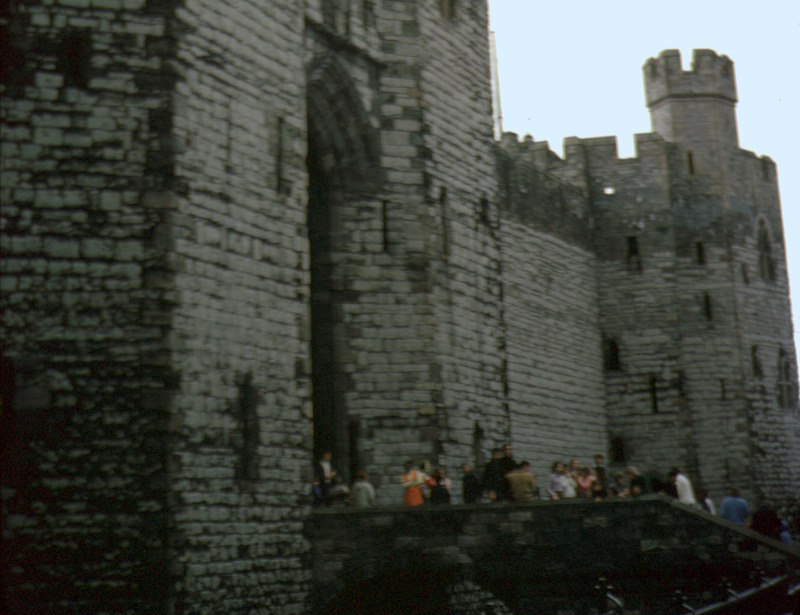 The main king's gate had a drawbridge outside, with portcullises at either end of the passage. This had "murder holes" in the vault over it, from which boiling liquid could be poured down on attackers who forced the outer door, or portcullis. Usually these were built into a machicolation. Additionally, arrows shot from the guardrooms at the side could hit the attackers. This gateway led into the outer bailey, where the barracks for the garrison were located, and the stables for their horses. The constable of the castle lived in rooms in the tower over the gate. An inner bailey and an outer bailey (open spaces enclosed by walls) were separated by a number of buildings. There was a passageway through, called the "black alley," which was defended by portcullises at either end. The great hall, in the inner bailey, was used as the general living room. It was the most pleasant place in the castle. 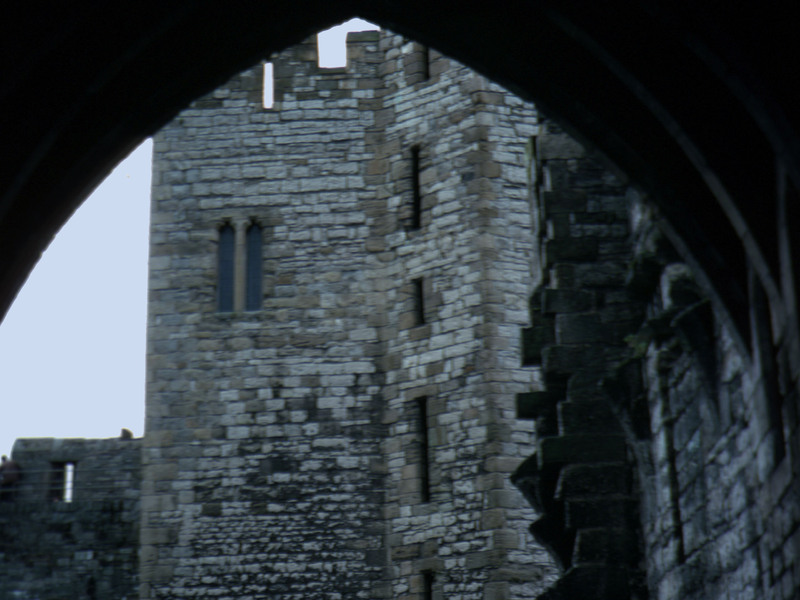 The rooms in the towers are dark, lit only by narrow slits of windows, recessed in the very thick walls. Realize that arrows could come in as easily as they were shot out. Windows had to be kept to a minimum in number and size. 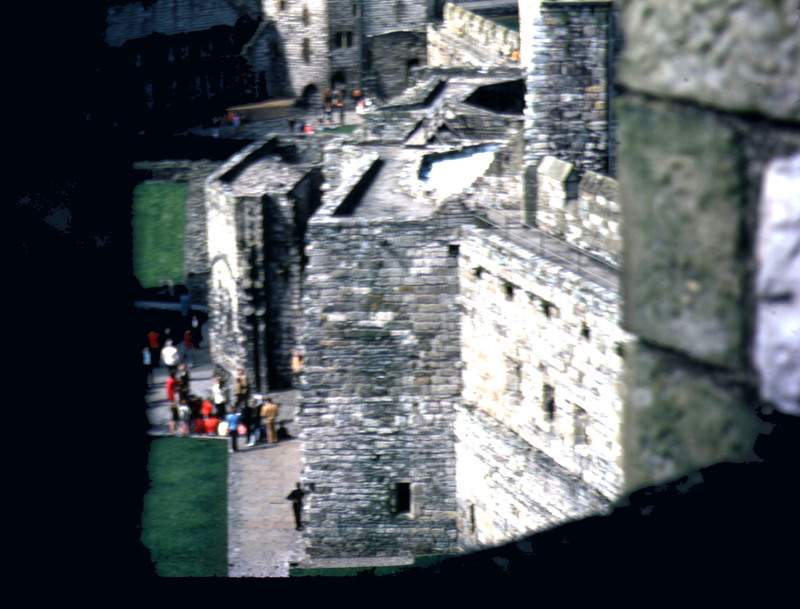 The kitchens were built against the curtain wall, in the inner bailey, between the king's gate, and the well tower. A curtain wall, or enclosing wall, of a castle bounded or enclosed the castle. Most often it was attached to the towers and gatehouse. There are examples of walls dividing or splitting a bailey into two wards, and this is called a cross-curtain. Various halls, kitchens and other necessary rooms were built against the inside of the curtain walls wherever it was convenient to do so. 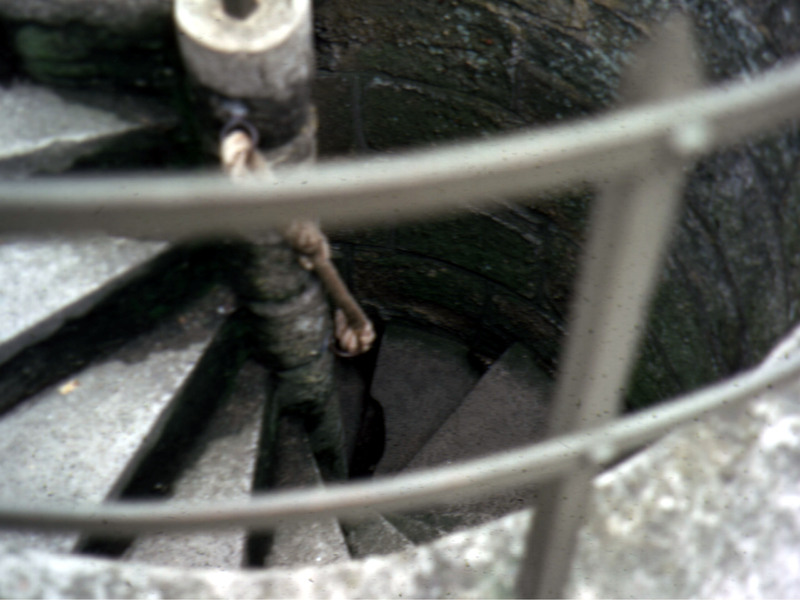 Many of the towers were simply stairways enabling guards to ascend to the ramparts. Some towers were used for living quarters for those guards. What is simple yet takes seeing to understand, is the large amount of green open space present in the baileys. The notion of a castle being a solid building is not a practical one, nor is it real. When townsfolk or neighboring farmers had to come inside its walls, the castle had to provide a place for those people, and their animals. Open green space was the only answer for camping, for cows to graze, for chickens running loose, etc.